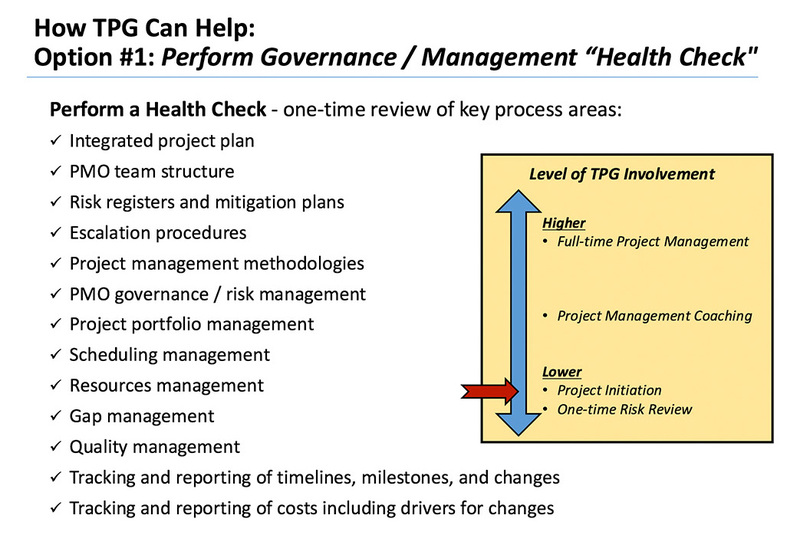 TechPar’s Project Governance (PG) services focuses on supporting our client’s multi-dimensional, complex Business and IT transformation programs. 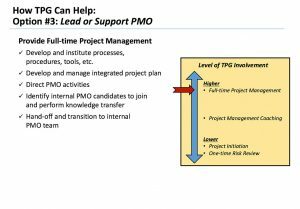 We help them keep critical projects on-time, on-budget, on-scope, while achieving the objectives contained in the business case. Each program has its own nuances and risks, e.g. 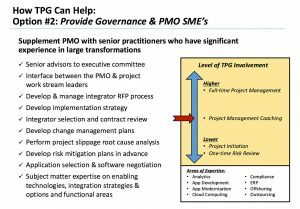 : poorly defined or understood business case; misaligned stakeholders; lack of a clear business sponsor; unrealistic expectations; organizational skill gaps; poor vendor contracts; inadequate program management procedures. Ideally, we are introduced into the program early and can proactively address the high-risk areas. But often we are introduced into inflight, troubled programs. Our seasoned, highly experienced and skilled practitioners know how to remediate the current issues and prevent new ones from surfacing. 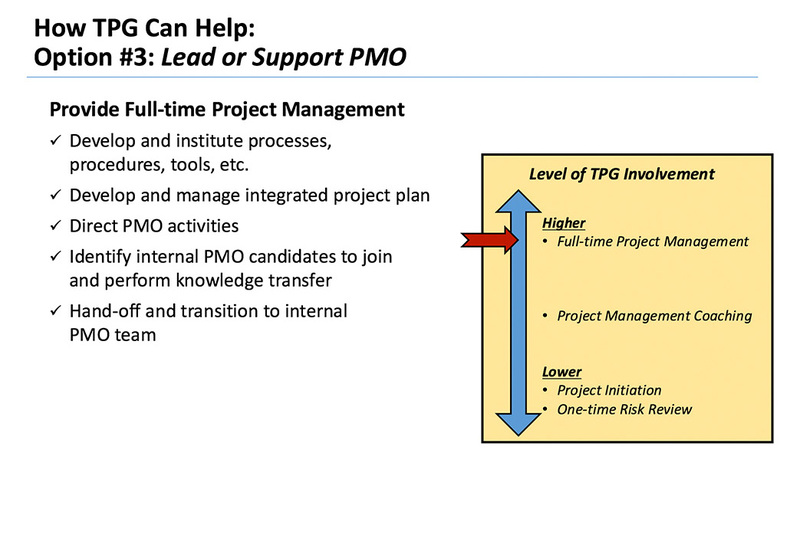 For a $40B pharma company, reporting to VP level: TechPar led Master Data Management global programs including Vendor & Employee master data quality assessments, Data cleansing & enrichment, Supplier Enablement (procurement, data operations, and risk management), Data Governance, and Golden Record. For a global $17B advertising & media company, reporting to the CxO level: TechPar is serving as the IT Transformation Leader of an Operating Company, inclusive of Service Desk, Infrastructure, and Applications. For a global $7B cosmetics company, reporting to the CxO level: For North American operations, TechPar led vendor selection and contracting for Services, Application Management, and IT Infrastructure Outsourcing and served as PMO leader for concurrent transformation programs enabling cost reduction, Shared Services, and COE. For a major Publisher, led global Finance initiative enabled by ERP. 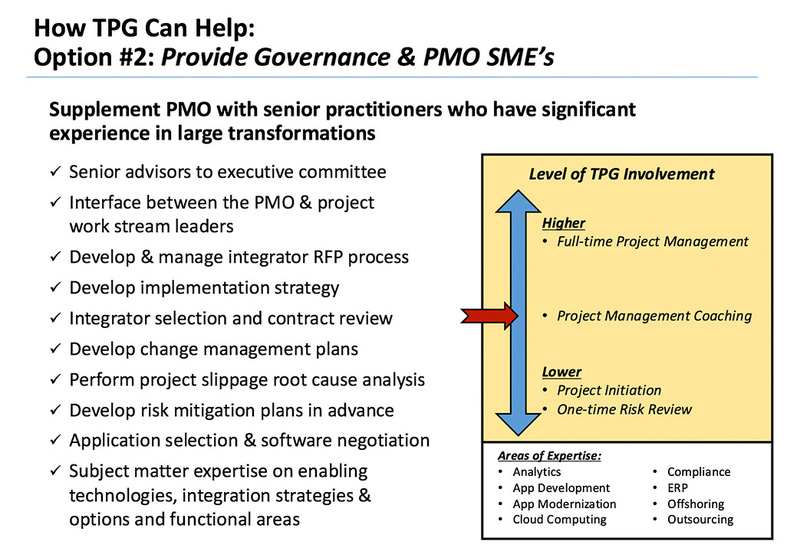 Addressed significant Change Management issues. 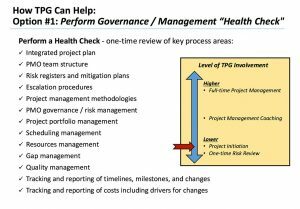 Please visit our Project Governance Blog.